Ever heard of Slovenian olive oil? The world usually identifies olive oil with Spain, Italy and Greece, but due to climate particularities, the olive oil from Slovenian Istria is recognized for its distinctive aroma, its bitter, a bit spicy taste and is appreciated for its favorable fatty acid composition. Slovenian olive trees grow on one of the northernmost landscapes where olives still can grow, and the tradition of olive production dates back well into the past, but last three decades have seen major expansion. Extra virgin olive oil from Slovenian Istria has the protected and designated trademark of geographical origin, which assures that the olive oil has been produced from local varieties of olives and bottled locally. Slovenian olive oil is top quality, and at least 30% of the olives have to come from the variety “Istrian belica”. 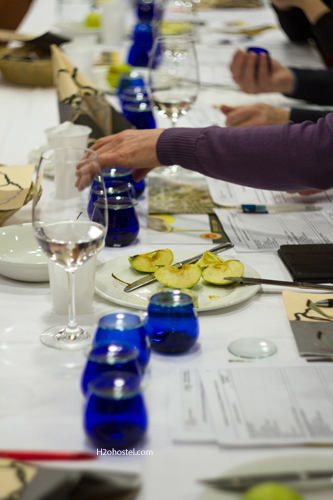 Last Friday was the premier selection event, The Golden Olive Twig, for the best olive oil of the past season. While last year was very dry and had some uncommonly cold nights, which decimated much of the olive oil production, it imparted an explicit, well-defined taste. If you have an opportunity, do try vintage 2012 – you will be amazed. 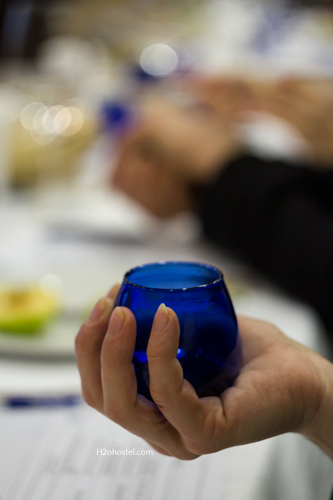 We were on hand for the tastings of best five oils before the best was revealed. All five of them had very particular and surprisingly spicy flavours. We were also lucky enough to be served the so-called Olive menu, a 4-course lunch on the basis of the olive oil we had selected to be the best. 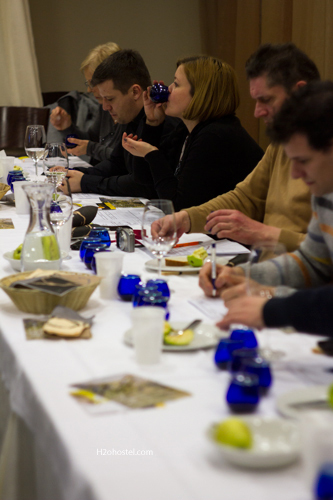 All pictures are from tasting of extra virgin olive oil from Slovenian Istria. 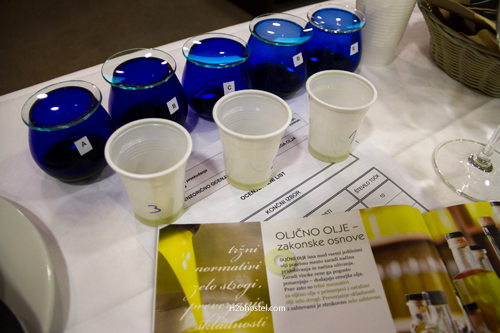 This entry was posted in Food, H2ostel Blog and tagged Condiments, Olive oil, Slovenian Istria. Bookmark the permalink.